Get ready for an interactive theater show that puts you right at the center of the action. 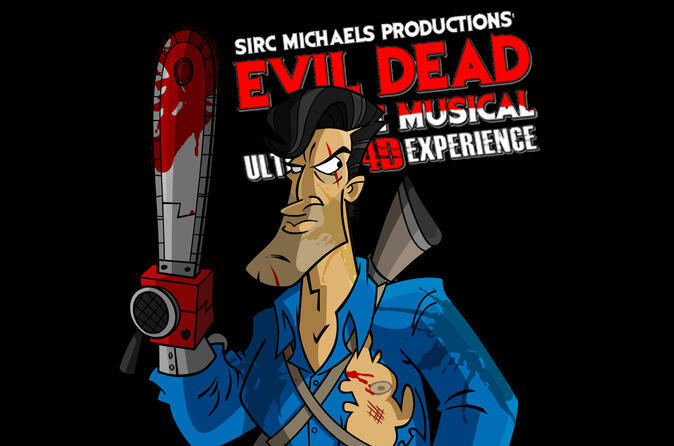 Evil Dead: The Musical! at Planet Hollywood Resort and Casino in Las Vegas combines the kitsch of Rocky Horror Picture Show with the interactive antics of Point Break Live, complete with flying limbs and a "splatter zone." Your VIP seats assure that you won't miss one hilarious, frightening, even stomach-churning beat.